The mod adds a variety of modular tools that can be upgrade with Perks.There are also tools that act like a pickaxe and shovel in one and a tools which is a pick,shovel,sword,axe and hoe in one.Because they are modular, that means that you can put any Perk you want on it. Perks range from Wider Radius, Fortune to No drop and Auto-Smelt.There are currently over 10 Perks available. We also have implement a chemistry system, with atoms and molecules.Currently there are 19 elements that this mod adds.These elements are used in a Chemistry Machine to craft various items.Elements are extracted from items using the Coal Refiner. 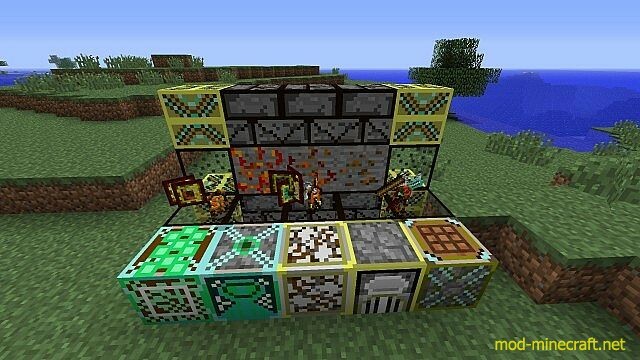 There is also a multiblock furnace that can quadruple your resources if used correctly.Be sure to check it out!